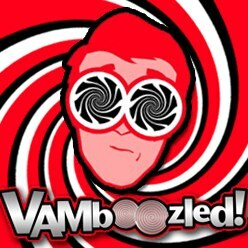 A “Next Generation” Vision for School, Teacher, and Student Accountability | VAMboozled! This entry was posted in General and tagged Consumer Alert!, Intended Consequences, Solutions, States, US Dept of Education by Audrey Amrein-Beardsley. Bookmark the permalink. Econometric thinking is driving educational policy and practice today. I find this report free of any serious discussion of what education is for. In my judgment the report is too preoccupied with ESSA and assumptions about schools that pre-date the current and unfolding Trump/Devos regime. What does accountability mean when public education, especially in place-based schools, is some remainder left when choice, markets, and so-called personalized delivery of education are held out as the future of education? This report assumes that the nation will continue to have a centralized and comprehensive accountability system, data-driven of course, with longitudinal data systems tweaked and massaged and presented in dashboards that provide guidance on what students and educators need to do. In my opinion, the report is pre-occupied with questionable ideas. One is a version of continuous improvement (vintage 1970s) re-furbished and re-branded as a “science of learning to improve,” complete with a “known step-by-step procedure for addressing “complexity.” The report speaks of a post-industrial age and 21st Century skills as if these are irrefutably the most important conditions that bear on education for this generation. No attention to the emerging “minority majority” and what that means for an accountability system. The report posits two purposes for education: college and career readiness and deeper learning. Here are the definitions. (a) College and career readiness:“The preparation of high school graduates to enter a career, extended training, or specialized education without need for remediation. That language is straight from Achieve, Inc. and the promoters of the Common Core. (b) Deeper learning: “The ability to transfer knowledge and skills developed in one setting to new situations, contexts, and problems through a set of cognitive, intrapersonal, and interpersonal competencies. “ The language of “competencies” is as troubling as the failure to acknowledge that the construct “deeper learning” has been pushed by the tech industry. 1. Determine which teachers help students become college-ready and successful, 2. Determine characteristics of effective educators, 3. Identify programs that prepare highly qualified and effective teachers, 4. Assess the value of non-traditional teacher preparation programs, 5. Evaluate professional development programs, 6. Determine variables that help or hinder student learning, 7. Plan effective assistance for teachers early in their career, and 8. Inform policy makers of best value practices, including compensation (TSDL, 2011, “Use and Purpose”). The system is intended to monitor the work of teachers in a manner that ensures all courses are based on standards, and that all responsibilities for learning are assigned to one or more “teachers of record” in charge of a student or class. A teacher of record is best understood as person who has a unique identifier (think barcode) for an entire career in teaching. A record is generated whenever a teacher of record has some specified proportion of responsibility for a student’s learning activities. Learning activities must be defined in terms of the performance measures for a particular standard, by subject and grade level.